What is social networking and how can it help me? It is important to be on good terms with people in your field of work. You never know when you might find you need help – or want a partner. Building relationships with colleagues – networking – creates all sorts of interesting opportunities. Stop thinking your industry mates as competitors and start thinking of them as colleagues – the result is amazing. 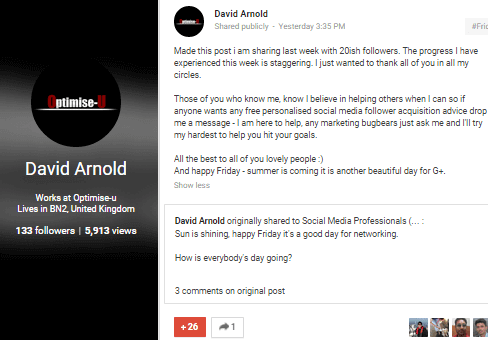 Update 23.03.2015: Using the one by one technique detailed later in this guide I have gained 31 loyal followers in 5 days on Google+ by sending out 48 emails. That is a roughly 75% conversion rate which is huge! Update 27.03.2015: Four days later and my social following has quadrupled. By being approachable and responsive people will interact with your social media and you will reap the benefits. How to use your audience. The importance of guest blogging. I see a lot of people reaching out over social media in (I hesitate to call it the wrong way) not the best way. A common practise is to write a short comment on another person’s piece of work. This can be an effective method of gaining social followers yourself and triggering a discussion, but 9/10 times this is a waste. I tend to skim read comments when I am responding to something and only reply if I disagree with one of the comments. As a result it is rare to gain followers from commenting peoples work and even rarer to get quality followers. Even worse people think that following other people en mass will get a reciprocal follow back. There are platforms which exist to automate this process. Programs you can use to completely automate social media. You may be able to confuse people who rarely use these social platforms into following your work by sending out mass messages. This will never get the engagements or relationships which are what social media is about. Real networking goes beyond creating good quality connections – it’s about making friends. They may be work friends who live thousands of miles away, but by helping others and speaking to them regularly you build real relations with people while furthering both party’s business interests. Social media can be used for many different things but when you reduce it down to it’s bare bones it is about all about networking. Just the title of this section sounds daunting and slow. This shouldn’t be your only method of social networking but this method will get you the highest quality social followers. Scout out your field. Find people who contribute to blogs. Make sure you like their writing style and what they write about. Then reach out to them with a personal message. It isn’t difficult, people are generally friendly. The important part is finding people who really interact with their friends on social media. Forget about numbers, focus on getting lots of quality social friends who speak to you. This allows you to spend time creating a genuine relationship which, if nothing else makes your job more enjoyable. It’s much nicer working with friends than acquaintances. Another advantage of using this slow method is it gives you time to respond to every comment that you want to. Try to respond to everything that isn’t spam, and delete the spam. This creates a quality and professional looking network which will attract more of a social following. Find an article you really like and read it very carefully. Write a comment about the article, and then drop the author an email. Be courteous, on Google give the article a +1, on Facebook give it a like. Don’t talk to people just for the sake of talking to them. Great minds discuss ideas, so try to discuss ideas about relevant topics in your field with people as a way to break the ice and get – and keep – a conversation flowing. Proper networking needs to be personal. You can follow people you want to be friends with and comment on all their posts. This is useful in getting the friend to be to recognise your name but beyond that will largely go ignored (I tried this method for a long time). It may sound a daunting task but directly sending personalised messages to targeted people is far more effective. You want to find people who blog about similar things to you and post links on social networks. This means reading many blog entries carefully and finding things you can discuss with their authors. Don’t be afraid to keep your initial message short – this puts the ball in their court and can be much more effective than using a longer message to reach out. Just make sure first contact contains the personal element so it doesn’t look like spam. Often people will accept friend requests or add you back, maybe read a piece of content you are promoting but then never interact with you again. You want to avoid this. Just as a way of breaking the ice and starting a conversation (or just out of general politeness) thank people for accepting your friendship and see where then conversation goes. Lots of businesses have thousands of followers but still wonder why their social media isn’t generating sales or large amounts of traffic. Used properly you social media should be like a reservoir of traffic – when you create a new piece of content your followers may read it but they won’t do much else if you are unable to write content that raises questions and starts a discussion. The type of followers which I call leaders are very active on social media and create these discussions themselves. Leaders share your blogs, raise useful questions and even criticise your work. Having an active discussion about a blog, image or video is the first step in going viral. Even criticisms are helpful – they add authenticity to your work if you manage them properly. If you have a lot of leaders on your social media you gain access to their reservoir of traffic every time they share a piece of your content so they are hugely important. Respond to every single comment you get. A follower may read all your work, or they may just be a useless number on your social media profile. One leader is worth more than a thousand followers. Leaders are quite easy to identify. You follow people in your own industry. Look at who is regularly interacting – likes, shares, tweets, +s ect – with other people’s posts. These are the people you want as a following. It doesn’t matter what social network you use. You can generate followers through spam but you will only generate leaders one at a time through hard work. A spammy profile looks unprofessional so will make it harder to attract these leaders – keep your profile clean. When you have enough followers try to only make post where you are helping people, this will help you to build a strong online reputation. With the right attention, nurturing and interaction a follower can become a leader. To be followed by leaders you need to be a leader yourself. You should know the BIG influencers in your field. Look at their posts and the people who interact with them. See who regularly shares their content and is positive with their interactions.These are the leaders that you want to follow you. It really doesn’t matter the how many followers your target has – somebody may be up and coming and interact a huge amount on your social platform. These people are still leaders and still very valuable. You may think you need a pretence to email low level influencers – and sometimes you do – but many people are happy to receive a personal message and more than happy to help. Everybody wants more friends. Experienced social media users are well aware that it is sharing which makes the internet go round so are likely to be responsive even if you are reaching out to a high level influencer. Even if you have a very small following if this following is comprised mainly of leaders your social marketing will be effective. The benefits of having an engaged social network are huge. They will distribute your content for you. If people like your work some people will comment asking questions, while others are giving their opinions and answering questions. Try keep your social media open as much as possible so you can give a quick response to any comments that arise. Only ask for favours from your audience when you have some kind of goal that needs achieving – but this is another benefit of great networking, you can ask for help when you need it. There is nothing wrong with asking your friends for something, but you don’t want to be the guy who always takes and never gives. When you have new followers it is important to come across as an interesting person who will be a good friend and help others when they are in need. Social follows and shares come when you have built a good relationships with your colleagues in other businesses. As your relationships build, it will become easier to ask others to share your content with their audience and over time you can ask for guest columns or, or ask for guest posts if this is something you think will benefit you. The great thing about social networking is the more that you interact with your followers, the more favours they ask of you and in return they more you can ask for them. Over time you will be able to ask to write a column on somebody else’s website and use this as an efficient link building method. If you are more comfortable starting slow do so, but even asking for things right off the bat is pretty effective. Using paid social adverts can be effective. You can be ultra targeted in who you serve your adverts to and if you are hitting the audience group which encapsulates your client base you are on to a winner. The downside of paid SMM, as it is called, is that you are paying money to risk not getting the correct audience for your website. Using paid methods to build a large network of followers to market like a robot to – is a tried and tested method which usually will work to get you some sales. It won’t create a vibrant social page where people interact with each other, where partnerships and friendships are created. Even if somebody likes your content and as a result follows you socially, what you really want from paid marketing is return on investment through sales. Having more followers is good, but if you want to build an audience that will create a social discussion paid marketing is not the best way forward. Interaction is a loop, if more people interact with your social posts people the more of a discussion is created and the more people interact in future. If your goal is to gain social followers it is vital that you reach out to every follower that you can find common ground with. Paid social marketing is a part of most businesses’ social networking but you need to be careful with how you deal with a rapid influx of followers. One way of using your audience is by targeting adverts to friends of people who follow you. This gives you added authenticity because your target will feel as if they are already connected with you. You can choose people who best interact with your work and that way any acquisitions you make you will have someone in common with to use to break the ice. Look at the profile of every social follower you gain if you use a paid method and reach out to them with a private message. This increases the power of paid social networking as you can start building a relationship with them – rather than having followers you will have friends. If you run a blog with comments like I do, in a way you are running your own social network. Building a community ensures repeat visitations from your users, and a site with a buzzing community appears a lot more reliable than one with no community. Many blogs have email subscriptions. If you run a blog and have a mailing list don’t just use your emails to say “HI GUYS, just letting you know I wrote a post today check it out”. Simply this is boring and your user could get the same thing following you on twitter. It’s best to add value to your users to encourage subscription. Expand on what the blog you are announcing is about, then leave the user a question which you haven’t answered yourself in the blog topic. This will motivate your users to read your whole blog and make them more likely to leave you a comment as an answer. Email marketing is a hugely powerful tool because it creates that personal relationship with your user group, possibly even more personal than the relationship gained through social networking. With the fast world of social media unfortunately a poor piece of content with a great title will generate so much more exposure than a great piece of content with a poor title. This is sad but unfortunately true. While you may be able to encourage influencers to share an article without the best title the share is just the first step. Titles like this arouse the readers curiosity and will get a visit to your website from social media. Social media is personal so it is important to use personal titles. Getting a potential audience reading your article however is just the first step. You want them to follow you and share your content yourself. To achieve this end you want to be writing long content which people can’t find elsewhere. Use words like I and you so you are directly addressing your audience. Breaking guides into top 10 lists are also very shareable because it makes the content easier to digest. Remember the saying that “if you can’t explain it simply, you don’t understand it well enough”. Lists are a great way of simplifying content. Titles for social media are even more important than the meta title for search engines because you have no description. People either like your title and read your guide, or don’t and you lose out on precious interactions. An image is the other thing that people often use to make their links stand out on social media. Last year Matt Cutts – head of anti spam at Google suggested that people stop guest blogging. He in fact said to “stick a fork in it” which I feel were the words of a deeply frustrated man. Even if it was true that guest blogging when done correctly damages SEO – and it is objectively not true – it would still be a very efficient marketing tactic. Guest posting is a great way of magnifying the advantages that you have gained through your networking efforts. People got a bit carried away by using guest blogging almost like link farms so it is understandable Google’s anti spam department didn’t approve. Guest blogging was just another way that people tried to hack Google’s algorithm and rank higher. As a result several websites were manually penalised and their rankings plummeted. This indicates that it is Google’s anti spam department, rather than their algorithm that doesn’t like guest posts. You do have to be careful that you aren’t just duplicating content from your website – Google hates duplicate content and often people rewrite existing articles for their guest blogs using different wording. I don’t see a huge problem with rewriting articles for a new audience, just try not to write a better version of your article on somebody else’s which can often happen. The second time you write an article will often create a more polished piece. Ignoring for a second the benefits of using guest blogs as a link building practise – this is what Matt Cutts, and likely Google as a whole does’t like – there are many ways of using a guest blogging opportunity to your advantage. First and foremost if you write on other people who are well known in the industry it allows you to say “these people are recognised industry influencers and they value my opinion”. It can give a new business a nice layer of authenticity. You are also doing the blogs which you are posting on a favour by giving them content that otherwise you could have kept and this allows you to ask for return favours. The benefit you are giving the blog you are writing on – specially if what you write ranks high up on Google – is largely ignored. It is important to remember that guest blogging is mutually beneficial. If you create a good guest blog it will create a good social discussion and give you access to the other website’s social followers. The important thing is not to treat guest posting as a link building exercise and spam links all over the place. This could potentially do more damage than good. Instead create great content which starts a social media discussion, and you can reap benefits even if the links are no-followed and you don’t get any direct SEO bonus in that manner. Adds reliability to what you do by getting featured on other peoples websites. Creates a social discussion – beneficial to both your website and the hosts website. Builds relationships with other people in your industry. 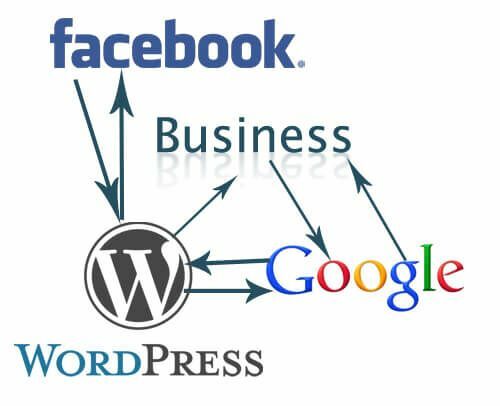 Beneficial to SEO – whether because of the links directly or because of regular social shares. Good guest blogging does help SEO. 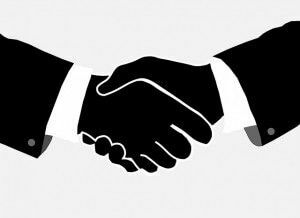 I personally feel that networking is the single most important part of online marketing. It builds traffic, audience and indirectly helps with your SEO efforts. Reaching out to industry influencers is never a bad thing. You may learn something, they may learn something and it is likely you will both end up with more followers. This blog just barely scratches the surface of how to network socially and how it can help you. If you have any examples to share or any advice to give please leave comment. If you take one thing from this blog let it be to interact more on social media with others and give those below you a leg up. You never know when it will be you asking a favour. How can i increase online conversions? Update 31.03.2015: Final update. My social network has now grown tremendously. Join me – share using the links below and follow me Google+. Hi Karim, Thanks for your comment. It is time consuming and at times can be frustrating but it is all about your perspective. If you contact 10 influencers, one who shares you who has an army of say 100,000 followers it is like you have reached out to all those hundreds of thousands of people – but you have only contacted ten. I get my fair share of spam but I am a new site so it isn’t so bad. I like the style of your blog – social networking is a great way for small businesses to get noticed. Great tips. I just want to say I’m beginner to SEO and truly enjoyed your website. I’m planning to bookmark your blog. Cheers for your SEO tips!